Extreme Terrain’s Clean Trail’s Initiative is a progressive program dedicated to supporting projects on 4x4 trail systems. Extreme Terrain understands the effects that stock and modified 4x4 vehicles have on the environment around them but want to do their part to help keep well maintained trails by helping with projects to help better 4x4 trail systems. This program has been able to help fund tools for trail improvements, help with the purchase and installation of trail signage, assist with trail clean ups, and a variety of other improvements on trails. Stay The Trail is excited to work with Extreme Terrain to help enhance education and build ownership through stewardship on 4x4 trails in Colorado. GRAND JUNCTION, Colo.– The Bureau of Land Management Grand Junction Field Office, the Grand Mesa Jeep Club, and Mesa County will officially open the Tabeguache Connector Trail on September 16 at 4 p.m. The partners will commemorate the trail opening with a ribbon cutting ceremony at the new trail sign on Highway 141 in Whitewater. Grand Mesa Jeep Club (GJMC) will host a barbecue after the dedication. “Thanks to strong partnerships, motorized trail users have a safe and legal location to cross the highway and continue to access public lands between Grand Junction and Montrose,” said Katie Stevens, Grand Junction Field Manager. Trail # 693 Russell Gulch behind the Sprucewood is OPEN!!!! From - Rampart Range Motorized Management Committee - Your Trail Dollars at Work! New trail is open! Trail # 693 Russell Gulch behind the Sprucewood is OPEN!!!! The lower loop part was previously existing and is on the current map. The upper loop is the new SINGLE TRACK loop and is not yet on the map. The trail is rated as difficult. Always thrilled when new trail is opened! All new trails are many, many, many years in the making! Here is a great interview on the local new station in Grand Junction, CO with former Stay The Trail employee Dan Gourley talking about the new OHV & Mountain Bike Trails in the Bangs Canyon area. The BLM will hold an Opening Ceremony on Friday, April 6th at 6pm. Take a few minutes to read and see what the ARRA is doing to keep our trails open. The Blue Ribbon Coalitions's "Share Trails Magazine" Spring 2018 Issue is now available to view at the following link, https://sharetrails.org/publication/sharetrails-magazine-issue-12/. Take a few minutes to read this magazine and see what the Blue Ribbon Coalition is doing on a national and local level to keep our trails open. The Off Road Business Association's "National Advocate" Magazine - Spring 2018 Edition is now available to downlowd and read at the following link. 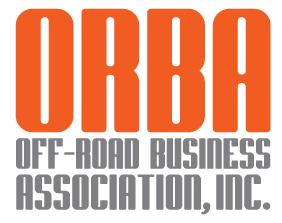 Take a few minutes to read this magazine and see what ORBA, businesses in the 4WD Industry and other land use organizations are doing to keep our trails open. Thanks to Mile-Hi Jeep Club we will have the Stay The Trail booth set up in Moab, Utah at the 52nd Annual Moab Easter Jeep Safari Vendor Show on Thursday, March 29th and Friday, March 30th, 2018 at the Olde Spanish Arena on the south end of town. There will be over 150 4WD related vendors on display so if you are at EJS or just want to come out for a day and check out a huge vendor show stop by and see us. Highland Cycles and WESTCORE want to help build a positive relationship between the public land agencies and the motorized community. Come out to Peach Valley on March 31st and buy your OHV permit from the CPW and learn more about where the money goes and why we pay. Highland Cycles will provide food and drinks. Sponsored by the Highland Cycles, WESTCORE, BLM, CPW, Stay The Trail, and the Colorado Canyons Association. 2018 Denver St. Patrick's Day Parade Today! Stay The Trail and Mile-Hi Jeep Club will be in the Denver St. Patrick's Day Parade, today March 17th, 2018! There will be hundreds of thousands of people in attendance. Come down and enjoy the fun! The parade starts at 9:30am. On Saturday, March 10th, 2018 Stay The Trail was on display at the Denver and Loveland 4 Wheel Parts Stores for their Annual Madness in March Sale. They had FREE Breakfast, FREE Lunch, a bounce house, a car crush, a RTI ramp, the Metal Cloak CTI Trail, raffles and much more. In addition to Stay The Trail, Mile-Hi Jeep Club, Colorado 4x4 Rescue and Recovery, Colorado Jeep Girls, Bestop, Dirt Girl Off Road, Metalclaok, Apline Audio and others were on display. We were able to talk to lots of people about the Stay The Trail program and our plans for 2018. Thanks to 4 Wheel Parts for their support and for the opportunity to set up and talk to people about Stay The Trail! The State Recreational Trails Committee and its grant review and ranking subcommittees will be meeting to review these grant applications in accordance with the schedule posted on this web page and at the locations specified. These meetings are open to the public and provide a platform for verbal comment on the applications. With the recent snow the Clear Creek Ranger District has closed the seasonal gates on Barbour Fork and Devils Canyon. This area is scheduled to Re-open, June 15th 2018. Colorado Association of 4WD Clubs 2nd Quarter Newsletter "High Trails Magazine"
Take a few minutes to download and read the Colorado Association of 4WD Clubs 2nd Quarter Newsletter "High Trails Magazine" to see what the 4WD Clubs in Colorado have been up to. Take a minute to read the NOHVCC March 2017 Newsletter to see what is going on with OHV users around the country. There are a couple of great articles about things that have happened in Colorado. The Colorado Off-Highway Vehicle Coalition has recently completed their 2016 OHV Economic Impact Study. This study does a great job of showing how much money OHV users spend in Colorado. Take some time to read this report. Check out the new E-News Letter that the Colorado Association of 4 Wheel Drive Clubs will be doing every month. They will still do their quarterly newsletters but the new monthly E-News Letter will be used to get information that is more time sensitive to everyone. Casey Snider Appointed Interim Executive Directorfor Tread Lightly! The National Off-Highway Vehicle Conservation Council (NOHVCC) announced back on January 12th that Russ Ehnes had expressed his intent to leave his position as Executive Director, effective June 1st, 2017. Ehnes, who has held that position for nearly 20 years, will be shifting gears to other opportunities in off-highway vehicle recreation, including managing the Bull Run Guest Ranch, near Great Falls, Montana. Take a few minutes to read the NOHVCC January 2017 Newsletter to see what is going on in the OHV Community in other parts of the country! Denver CBS 4 talks about new Stay The Trail RC Challenge Course on Live TV! This year at the Denver International Sportman's Exposition we displayed the new Stay The Trail Kids RC Challenge Cource. It was a huge success and over the four day event there were over 1,000 kids that used it. The local news even did a live broadcast with one of their anchors using it! 2017 1st Quarter Issue of CoA4WDC Magazine "High Trails"
Take a few minutes to download to 2017 1st Quarter Issue of the Colorado Association of 4 Wheel Drive Clubs Magazine "High Trails" to see what their member clubs are up to. Thanks to the CoA4WDC for all of the ads for Stay The Trail in this article! The local news in Grand Junction did a great job of explaining what is required to show Proof of Ownership when you purchase a registration for your OHV, Snowmobile or Boat. This will help everyone make sure that the new OHV, Snowmobile or Boat that they have purchased is not stolen and will help track it down if it does get stolen! Take a couple of minutes to watch this video. Off-Road Business Association's Winter 2017 issue of "The National Advocate"
Take a few minutes to download and read the Off-Road Business Associations Winter 2017 issue of "The National Advocate". There is a great article about the Stewardship Project that Stay The Trail and Mile-Hi Jeep Club completed last September on National Public Lands Day! Take a few minutes to download and read the NOHVCC December 2016 Newsletter to see what other OHV Organizations are doing around the country. 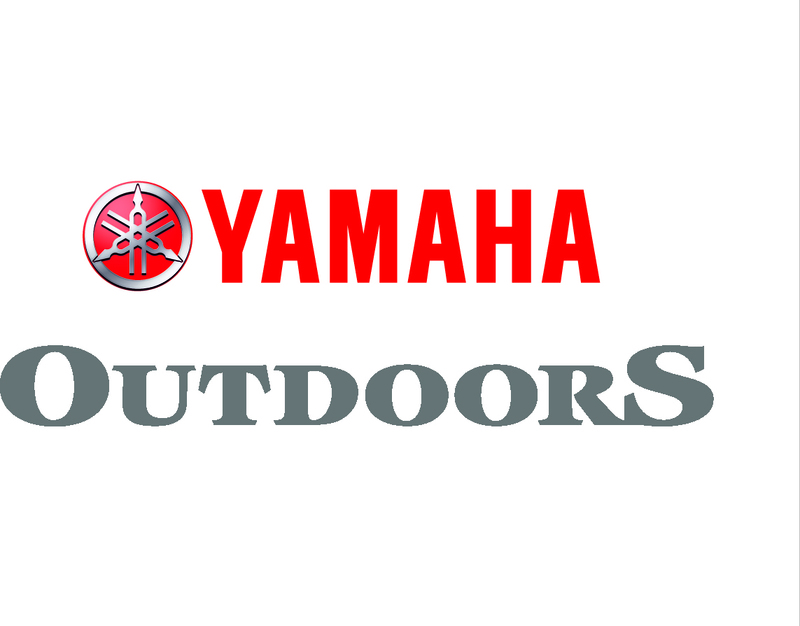 The Wagon Wheel OHV Club is pleased to announce it has received a Yamaha Outdoor Access Initiative grant of $19,398 for the 2017 Patterson Park Trail Project in cooperation with the Blanco Ranger District of the White River National Forest. Polaris awards over $40,000 in their recent Polaris Foundation T.R.A.I.L.S Grant!!! National Off-Highway Vehicle Conservation Council (NOHVCC) and the Texas Motorized Trails Coalition (TMTC) announce the receipt of a Polaris Foundation T.R.A.I.L.S grant in excess of $40,000.00. If you want to see what the American Motorcyclist Association is doing across the country take a few minutes to read this article. The Outdoor Recreation Jobs and Economic Impact Act of 2016 signed by President Oboma on 12/8/16!! Some more good news for OHV Recreation coming out of Washington. The Outdoor Recreation Jobs and Economic Impact Act of 2016 has made it through Congress, Senate and was signed into law by our President on December 8th! Colorado Senator Cory Garner was a Co-Author for this bill!This will help us show everyone how much money is spent on Outdoor Recreation every year! SAVE THE DATE FOR COHVCO WORKSHOP & SOME GOOD NEWS ABOUT GYPSUM MOTOCROSS TRACK!! The Colorado Off-Highway Vehicle Coalition (COHVCO), in conjunction with National Off-Highway Vehicle Conservation Council (NOHVCC), Colorado State Parks and Wildlife, the US Forest Service, the US Bureau of Land Management (BLM), will be holding a (2) three day workshops IN 2017! For More info read the attached alert! The Eagle County Planning Commission approved the Dry Lake location and extent application unanimously for the new motocross track in Gypsum,CO! December Issue of UFWDA Magazine "THE VOICE"
If you would like to see what is going on with the 4WD Community across the country take a few minutes to download and read the December 2016 Issue of the United Four Wheel Drive Association's magazine "THE VOICE"
If you would like to see what the Colorado Parks and Wildlife's long term goals are when it comes to motorized and non-motorized trails in Colorado you need to download and read this plan. The Rocky Mountain Region of the U.S. Forest Service announced today the availability of over 900 temporary positions for the 2017 field season throughout national forests and grasslands in Colorado, Kansas, Nebraska, South Dakota and Wyoming. Take a few minutes to download and read the Americans for Responsible Recreational Access December 2016 Newsletter to see what is going on in our nations capital regarding OHV Recreation! Take a few minutes to read the National Off-Highway Vehicle Conservation Council's November 2016 Newsletter! There is a great article about the new Skills Course at the Peach Valley Recreation Area located just north of Montrose, Colorado! FREE Admission to any Colorado State Park on Friday, November 25th! New bill that was just past in Congress makes it easier for the Forest Service to work with volunteers to maintain trails! If you camp and use your OHV in these areas please take a few minutes to go to the following link and provide your input on how you use this area and what you would like to see happen in this area. Off Road Business Association's Fall 2016 Newsletter "National Advocate"
Take a few minutes to download and read the Off Road Business Association's Fall 2016 Newsletter "National Advocate". There is a great article about two Stewardship Projects that Stay The Trail and the Big Horn Jeep Club completed this summer. Mile Hi Jeep Club's October 2016 Newsletter "Jeepers in the News"
Take a few minutes to download Mile-Hi Jeep Club's October 2016 Newsletter "Jeepers in the News". There is an article about the Stewardship Project that Stay The Trail and Mile-Hi Jeep Club's Patrols 10 & 12 completed on National Public Lands Day! Colorado Association of 4WD Clubs 4th Quarter Magazine "High Trails Colorado"
Take a few minutes to download the Colorado Association of 4WD Clubs 4th Quarter Magazine "High Trails Colorado" There is a great article about a couple of Stewardship Projects that Stay The Trail and the Big Horn Jeep Club completed in 2016! Fall Blue Ribbon Coalition Magazine "Share Trails"
Take a few minutes to download and read the Fall 2016 Blue Ribbon Coalition Magazine"Share Trails". There is an article about COHVCO and Mile-Hi Jeep Club in this issue and Stay The Trail gets mentioned in both! The winners of the 2016 BF Goodrich Outstanding Trails Grants were announced in Las Vegas, NV at the 50th Annual SEMA Show and two 4WD clubs from Colorado were selected as winners!! The Mile-Hi Jeep Club received a grant for Sidewinder and the Grand Mesa Jeep Club received a grant for 21 Road. Take a few minutes to download and read this newsletter to see what our friends at NOHVCC are doing to promote responsible OHV use on a national level. Stay The Trail worked with the USFS - Eagle Holy Cross OHV Crew and the USFS Statewide Trail Crew as well as club member volunteers from the Colorado Backcountry Trail Riders Alliance to clear downed trees, re-build drainages/ water bars, trim cooridor, and re-store singletrack in the greengate, red table, basalt mountain areas. NOHVCC and BLM work together to create a list of best OHV Trails in the country! NOHVCC does the same thing that Stay The Trail does and more on a national level. Here is their monthly newsletter. Rio Grande National Forests will hold Forest Plan Public Meetings the last week of September in Saguache, South Fork and La Jara. Arapaho/Roosevelt National Forests hold National Public Lands Day events in Sulphur and Canyon Lakes Ranger Districts on Saturday, September 24th! Mile-Hi Jeep Club's newsletter "Jeepers in the News"
SCORR and Friends of Dillon Ranger District building new Trail! The Summit County Colorado Off-Road Riders and the Friends of the Dillon Ranger District will be holding another work day on Saturday, September 10th to build a new single track trail in Dillon, CO called the Tenderfoot Mountain Trail. If they get enough help they might be able to finish new trial this weekend!!!! The West Dolores Road (Forest Road #535) will be closed to the public for about two weeks beginning Tuesday, September 6th to allow for replacement of a large retaining wall damaged by a landslide just above the Navajo Lake Trailhead. McCullough Gulch Road and McCullough Gulch Trail Temporarily Closed for removal of an unauthorized bridge and debris in the drainage from September 6th through October 1st, 2016. BLM will hold field tours of proposed OHV open areas September 7th & 8th. Read about what ARRA is doing to help us promote responsible OHV use on a national level. "THE VOICE" the new online version of United Four Wheel Drive Associations newsletter! Stay The Trail promotes responsible OHV use and kicks off Big Game Archery Season! Toytec raised over $1,100 at their customer appreciation day, then made a matching donation for a total of over $2,200 raised for Stay The Trail! Always Stay The Trail, there are plenty of great views from the LEGAL routes! SCORR helped with our trail construction project on Tenderfoot Mountain. Thanks to the guys of Big Horn Jeep Club and the USFS Eagle-Holy Cross OHV Crew we were able to build 300 ft. of buck and rail fencing on Ptarmigan Pass! Volunteers sacrifice a day of wheelin' to install new picnic tables during the FJ Summit Volunteer Day! A huge thank you to FJ Summit for their continued support of our program. Thanks to the Colorado Association of 4 Wheel Drive Clubs for all of their support and their help spreading the word about Stay The Trail. So far this year we have been able to give several Forest Service Ranger Districts, Forest Service Grasslands and BLM Field Offices $2,000 worth of signage to be used on their trails! Three existing signs were repalaced and one new one installed with the help of our Yamaha Grant and volunteers from the Big Horn Jeep Club. Three kiosks were installed at the Badger Flats area on the South Park RD with the help of members of the Colorado Four Wheelers Club out of Colorado Springs and USFS employees. This cleanup occurred at two different dates, to keep vehicles out of the muddy area off of the main road. This training track is a great resource for beginner riders learning to enhance their skills in a safe environment. Rules are changing in Colorado. A handful of counties have recently voted to allow limited OHV use within their jurisdictions. Cattle Guards were installed on the Uncompahgre National Forest to help trail riders and Cattle Ranchers coexist on public lands. The Stewardship Program focuses on coordinating volunteers on public lands to help with projects such as cleanups, fence building, trail rehab, post and cable installation just to name a few.